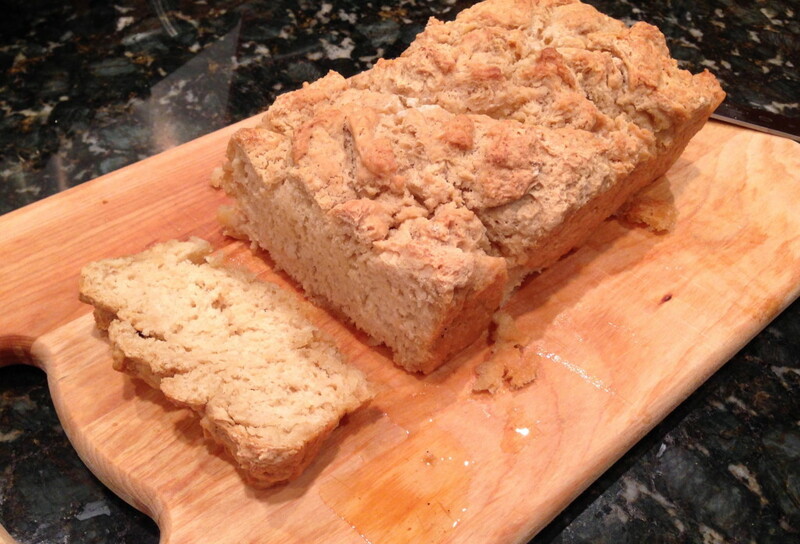 It’s hard to believe that in my short (I guess) 25 years on this Earth, I have NEVER eaten beer bread before…. boy was I missing out!!! 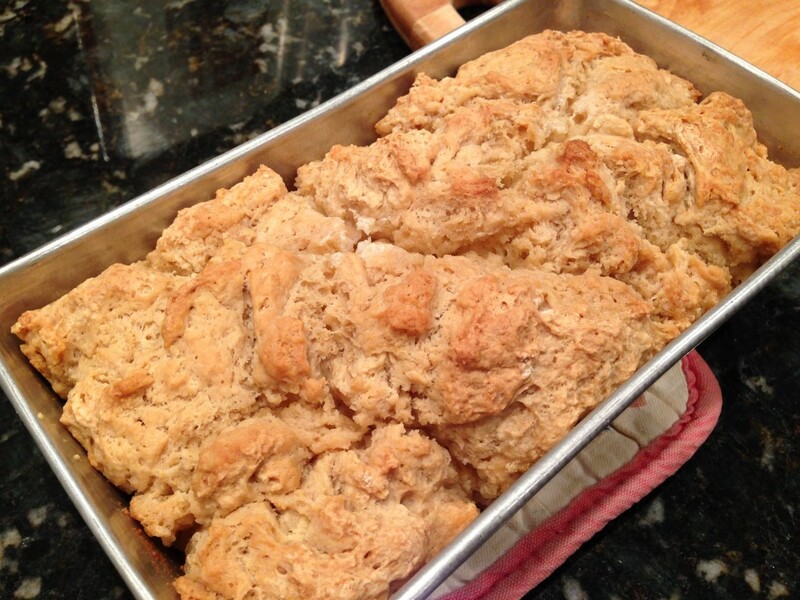 Even though no one in my family drinks (my husband, myself, my parents, my sister, my in-laws, and my brother and sister-in-law … we’re special, we know :)), beer bread is something EVERYONE needs to try regardless if it contains alcohol in it! My parents invited my husband and myself over to their house for dinner and had made chili in a biscuit bowl, except instead of the bread bowl, we made beer bread instead!! With 1 stick of butter in the batter of the 9 x 5-inch loaf pan, you really don’t need to butter this bread at all. 🙂 The beer cooks out of the bread and leaves it’s wonderful flavor behind. Since the recipe calls for “good quality” beer or ale and since we don’t drink, my Dad relied on Central Market’s suggestion of the best beer to use in beer bread. 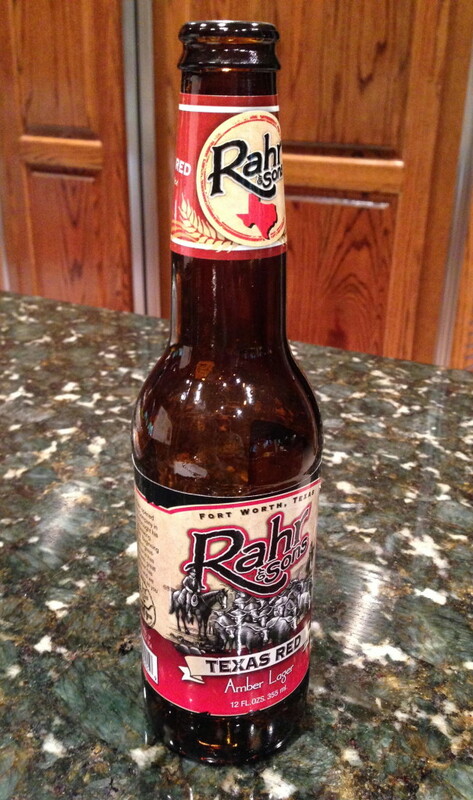 They recommended Rahr & Sons Texas Red Amber Loger, which was a winner! 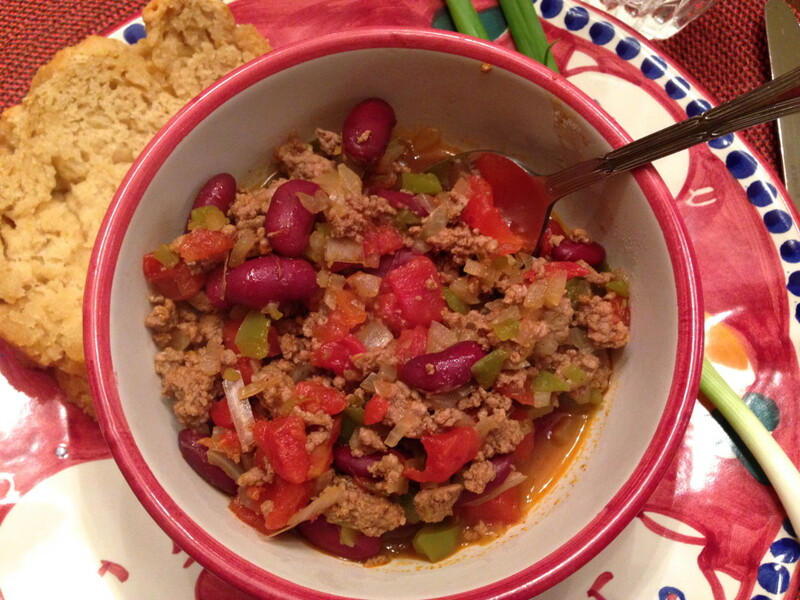 So, as the weather gets cooler here in Texas, this just means more opportunity for beer bread and chili. Yum!! Use a good quality beer such as Rahr & Sons Texas Red Amber Loger. 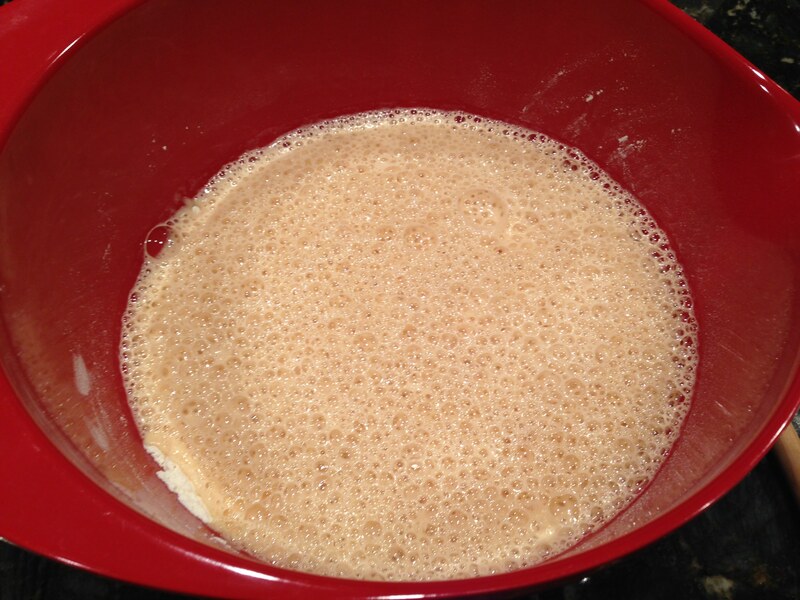 Combine beer with flour, baking powder, salt, and sugar. Stir until just incorporated and note that the dough will be sticky. Pour half the melted butter into the bottom of the prepared pan. Spoon in the bread dough. 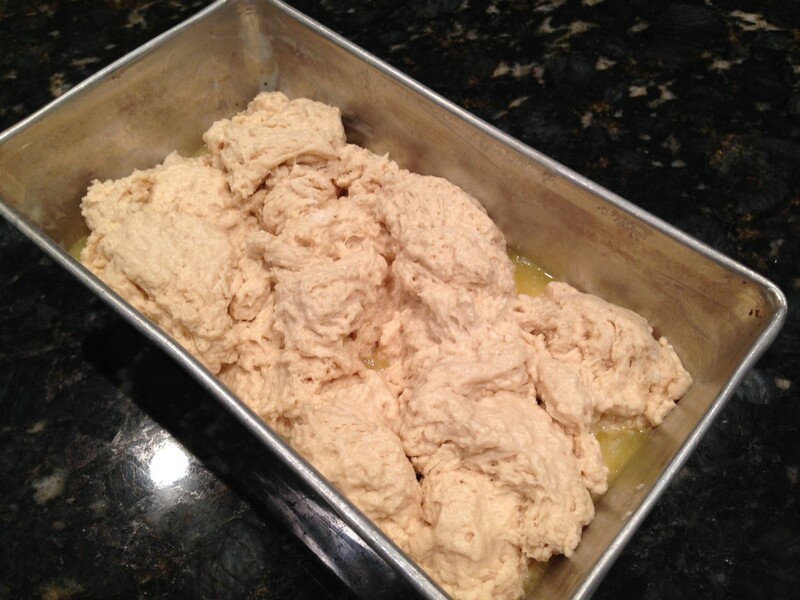 After adding all the dough, pour the remaining butter on top. Bake for 50-60 minutes in a 350 degree oven. Slice and serve immediately. Note the excess butter dripping from the bottom of the bread. Yum! Source: Rebecca Rather's "The Pastry Queen"
Preheat the oven to 350 degrees F. Generously grease a 9 x 5-inch loaf pan with butter or cooking spray. 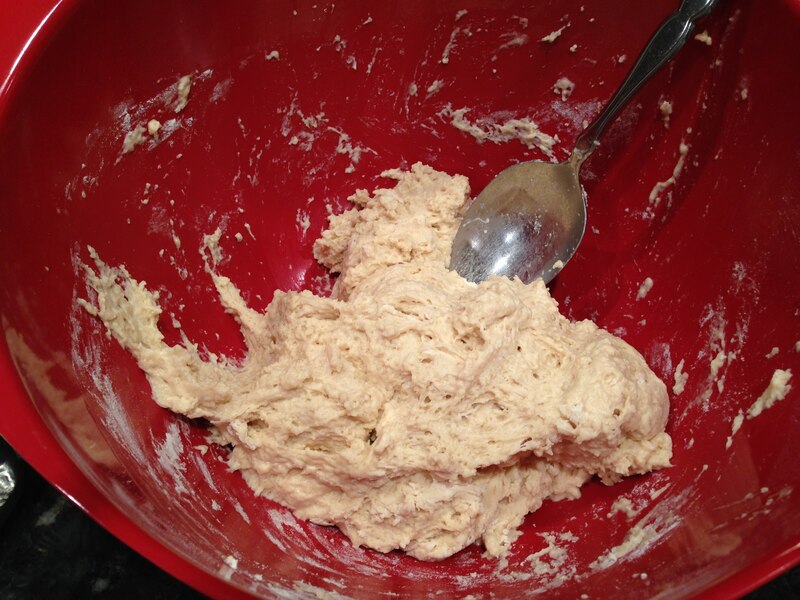 In a medium bowl, stir together flour, baking powder, salt, and sugar. Pour in the beer and stir until just incorporated. (The dough will be sticky and heavy). 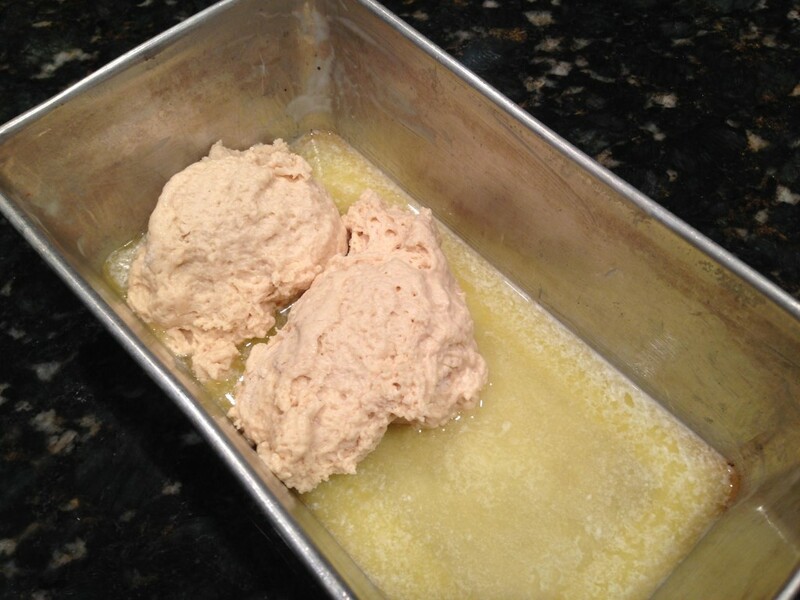 Pour half the melted butter into the bottom of the prepared loaf pan. Spoon in the bread dough and pour the remaining half of the butter on top. Bake for 50 to 60 minutes, until the bumpy top is golden brown. Remove from the pan and serve immediately. Variations: Beer bread lends itself to numerous mix-ins, including chopped chives, chili peppers such as jalapeños, green onions or any grated cheese. One Response to "Beer Bread"